Something about Juan Atkins: First, the Belgian R&S Records began releasing stellar work by a cast of techno inheritors including New Yorker Joey Beltramand Europeans C.J. Bolland and Speedy J. By 1993, Berlin's Tresor Records had picked up the baton as well, issuing American projects by second-wave Detroit producersUnderground Resistance (as X-101), Jeff Mills, Blake Baxterand Eddie Fowlkes. 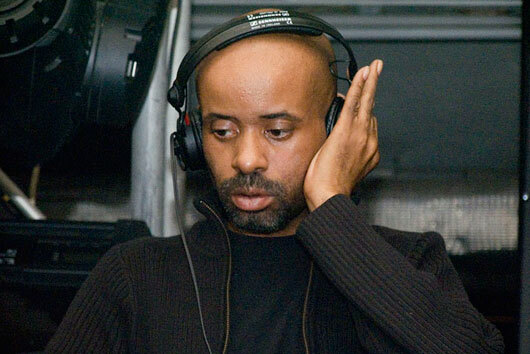 Atkins visited the label's studio in 1993 and worked with 3MB, the in-house production team of Thomas Fehlmann and Moritz Von Oswald (both of whom were to go on to better things, inSun Electric and Basic Channel/Maurizio, respectively). He returned to Berlin several years later to begin recording what was, surprisingly, his first album since the days of Cybotron. Finally, in mid-1995, R&S released the debut Model 500album, Deep Space; more importantly, the label also released Classics, a crucial compilation of Model 500's best Metroplex singles output. Another retrospective, Tresor's Infiniti Collection, traced Atkins' work as Infiniti, recorded from 1991 to 1994 for a variety of labels including Metroplex and Chicago's Radikal Fear. Several years passed before he released any additional material, but it came with a rush during 1998-99. First in September 1998, Tresor released an album of new Infiniti recordings named Skynet. One month later, the American label Wax Trax! released a Juan Atkins mix album. Finally, in early 1999, the second full Model 500 album Mind and Body was released on R&S Records.